City officials have approved plans submitted by Slate Property Group to construct a new mixed-use skyscraper in Downtown Brooklyn. 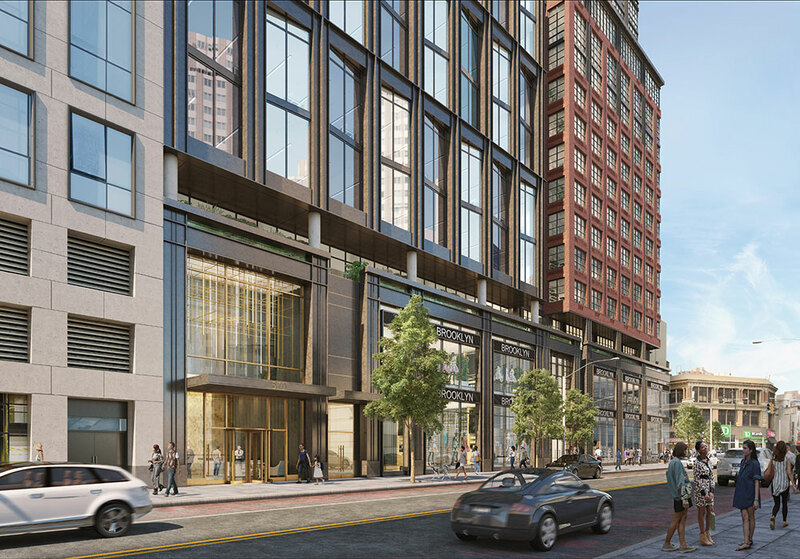 Located at 570 Fulton Street, the structure is designed by Hill West Architects and will contain a combination of market-rate apartments, affordable housing, and office space. 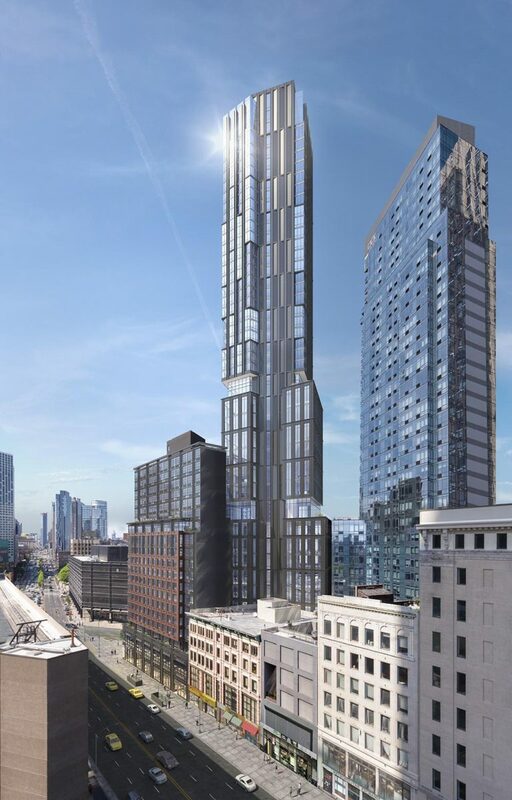 According to proposals revealed in September 2018, the 550-foot-tall tower will contain 139 units, 30 percent of which will be dedicated to affordable housing. At the office levels, floor plans are designed smaller than typical office buildings in Downtown Brooklyn to specifically accommodate small business owners. In a statement from Slate Property Group, Schwartz also confirmed that his company will fund an MTA design study valued at $550,000. 6 Comments on "Mixed-Use Skyscraper at 570 Fulton Street Receives City Approval to Begin Construction in Downtown Brooklyn"
When is completion expected to transpire? Hello. I would love to apply for an apartment. How can I. What is the process for applying for this development?